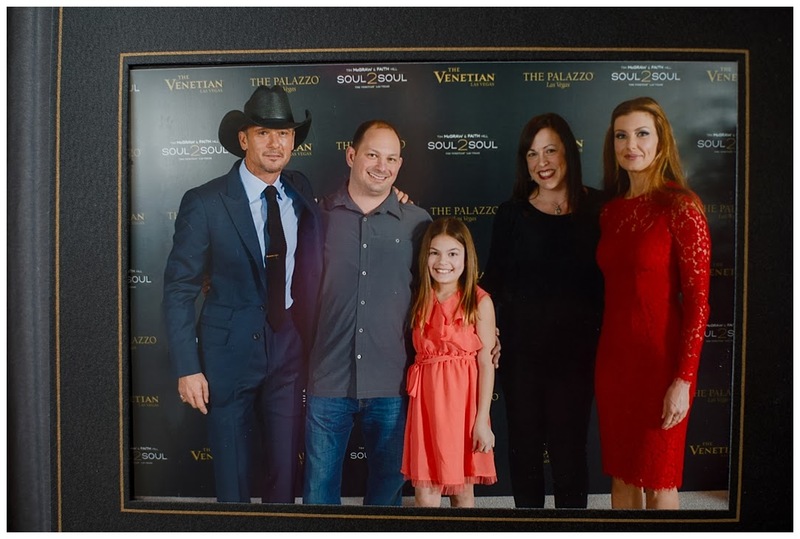 Lauren Oliver Photography - The Blog: Tim Mcgraw, Faith Hill and Audrey's Best Birthday Ever!!! Double Digit Awesomeness! Tim Mcgraw, Faith Hill and Audrey's Best Birthday Ever!!! Double Digit Awesomeness! Well, I'm thinking I still might have a little bit of adrenaline pumping through my veins. As I re-tell this story to our dear friends and family, I get as excited as I was Saturday night. This all started a while ago for me. And as many of you know, I can get a little enthusiastic and things literally burst out of me. But alas, I pulled off a memory maker for Audrey that I don't think she (or we) will every forget. I will try to keep this simple and catch all the highlights. 1. Audrey turns 10 on Sunday. 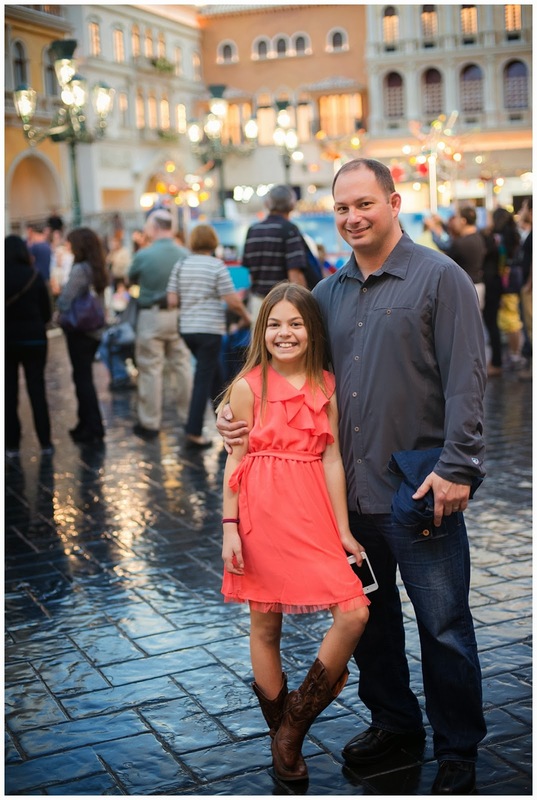 Last month I got a crazy thought to plan something special for her 10th birthday. I mean, hello, double digits. It happens to be Todd's birthday in February, too, so I decide to whisk two of my favorite people in the world for a weekend away. Excuse my sidenotes, but honestly, having a weekend just the three of us was so awesome and highly recommended (thanks to the grandparents for watching Nate and showing him a fabulous weekend full of hot wheel play, Dollar Store fun and size large McDonald Mcflurrys). 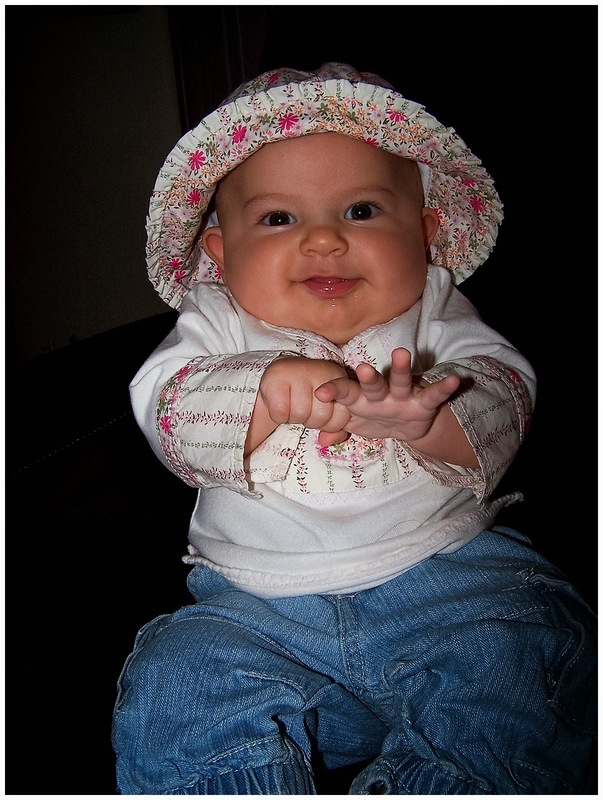 It wasn't long ago my sweetie pie looked like this! Be still my heart. 2. It is no secret that I love Tim and Faith. I sort of feel like we could be neighbors. Ha! My daughter has also found a love of these two and proclaimed Tim her favorite artist ever! Sidenote - I will say post-show her love of the both of them is equal. I think her quote was "Mama, Faith's voice is more beautiful in real life than I ever knew". 3. Cue my idea. Last year me and my fabulous friend Wendi saw Tim and Faith's Soul to Soul show at the Venetian, and it's literally the best I've ever seen. I knew they were back this year for a limited number of shows. And that's when I booked our trip. Vegas, just the three of us, Tim and Faith's show. Best birthday ever! 4. So then I got another crazy idea one day when I was getting ready. Audrey meandered into my room and out of the blue says, "Mama, do you think I'll ever to get to see Tim and Faith in concert before I'm a grown up?" ARE YOU KIDDING ME AUDREY?!?!?! DO YOU KNOW WHAT I JUST SECRETLY PLANNED FOR US?! I played it cool and told her that I first saw them when I was about 21. Deflated Audrey leaves my room hoping to see them before she's a grown up. Hmmmm.....could you imagine if there was a chance she could meet them in real life before the show? That day I went on to Tim and Faith's websites and grabbed every email address I could find. I also included a few local country radio stations. I used many exclamation points and a family photo and shared Audrey's birthday celebration story and love for these two amazing artists and people. I figured, why not just put it out there and see what comes of it. I knew regardless, this trip would be a highlight of her first decade! 5. So I eventually worked up a fun way to tell these two about our trip. They were SO excited. The countdown began. 6. Then, a few weeks passed, and I checked my email. This wonderful woman from Tim's management group said they read the email and would love for us to meet Tim and Faith. Pause. Literally, I just about died. I couldn't thank her enough! This was beyond anything I could have imagined. I told Todd this amazing news, but not Audrey. This would be the best surprise ever! 7. So off we go to Vegas. 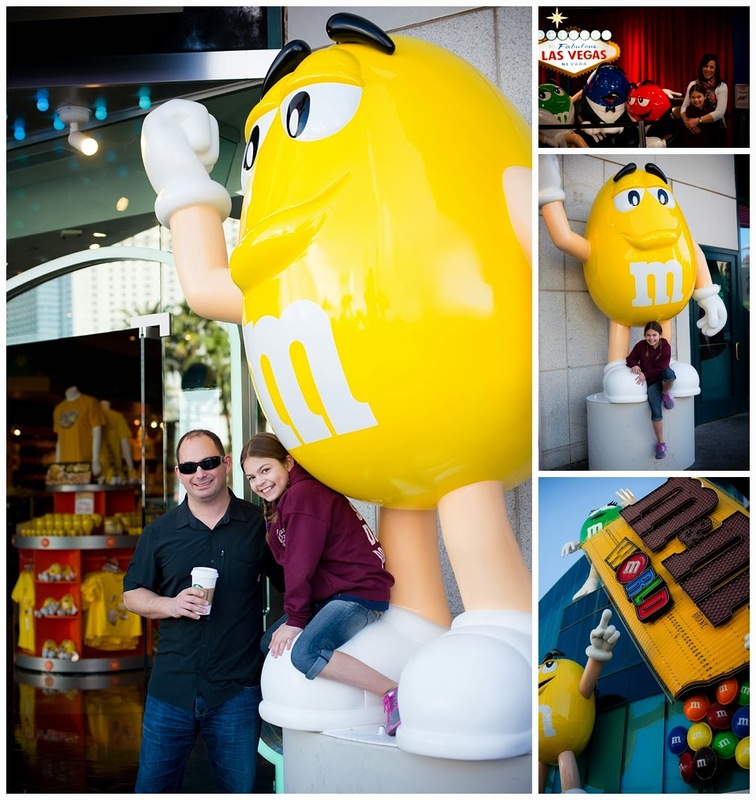 Audrey's top priorites.....Tim and Faith, M&M World and staying up til' midnight. The Secret Garden at the Mirage was SO fun. Thanks to Aunt Gayle who treated us to a very very fun afternoon! The Mother Fluffer - imagine toasted marshmallow magic in a milkshake. THEN, IT WAS GO TIME! This little girl had no clue what was about to happen. You know, that day you got to meet Tim and Faith!!!!!!!!!! She didn't know until the very last minute after we got into the room. There were about 20-25 of us that got the VIP Meet and Greet access and I have nothing but gratitude that we were welcomed into this group. Faith was the sweetest to my very surprised (and very quiet) daughter, she complimented her boots and shared that her first name is actually Audrey too (her middle name is Faith)! I watched my Audrey's quiet smile and internal beaming! These two were so real and kind and engaging and friendly. I told you they could be all of our neighbors. I feel so grateful to have met them! 8. So, off we go to the show after this completely out of this world experience meeting two of our favorites! We were all so excited. 9. The show was fantastic! And then, about half way through, Tim stops and says, "where is Audrey?". WHAT?!?!?!?!?!?!?! Are you kidding? Todd lifts her up and Tim heads our way chatting away about how he has an Audrey too (his youngest is an Audrey). He unplugs his guitar, pulls out his sharpie and writes "To Audrey, From Tim, Happy Birthday, 2014". He tells her she needs to learn to play it someday and gives her his guitar and a hug! Many thanks to my new friend Mary Beth from San Antonio who snapped this moment! She was sitting in front of us and she and her friend were hilarious and awesome! 10. I think I cried my way through the rest of the show. Afterwards, Tim's assistant found us and said Tim wanted Audrey to have the guitar picks he used during the show! I was so overwhelmed and I can only imagine how all that felt in an almost 10 year old!!!! Thank you Tim and Faith for the most out of control amazing night! And to the kindest members of their team and the fabulous staff at the Venetian who were so excited and supportive and helpful! We Gendreaus could not be more grateful! So that is the story! 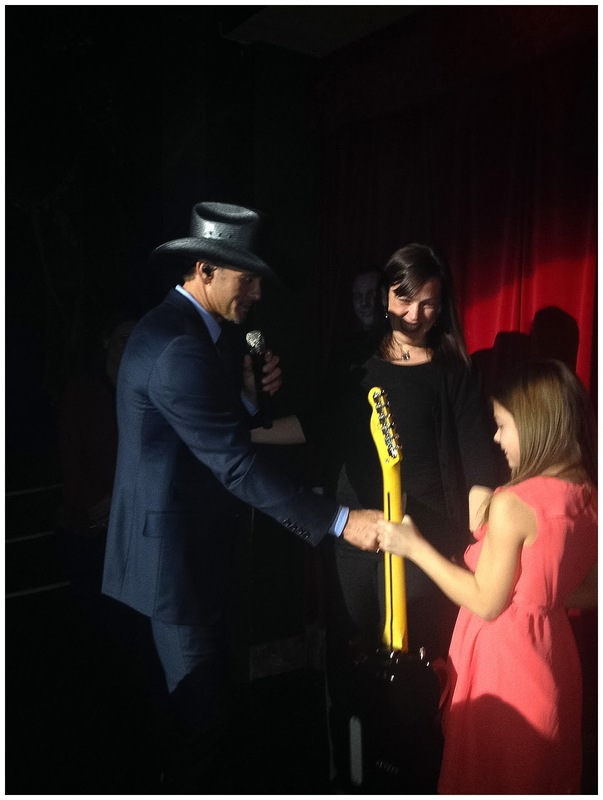 My girl kicked off her double digit birthday week in Vegas, meeting Tim and Faith, being gifted Tim's guitar, staying up til 12:30am twice and having total quality time with her mom and dad! Audrey - you are so very loved. And you are one of the kindest souls I know. I told her that night that when you are kind in life and think of others (which this little soul always has), good things always come back around! I know she will continue in her life with kindness, and thoughtfulness, and the spice that she always mixes with it! Always be you Audrey! It will take you farther than you can ever imagine! And to Tim and Faith and their team and the awesome Venetian crew, THANK YOU! You made a most memorable weekend for us all!!!!! We celebrated our 2 year old son’s birthday this Sunday. Everything was hosted neatly by Los Angeles event venues. My little tony had a great fun. Each and every kid who came to the party was highly impressed by the birthday arrangements. The whole space was beautifully and wonderfully decorated.